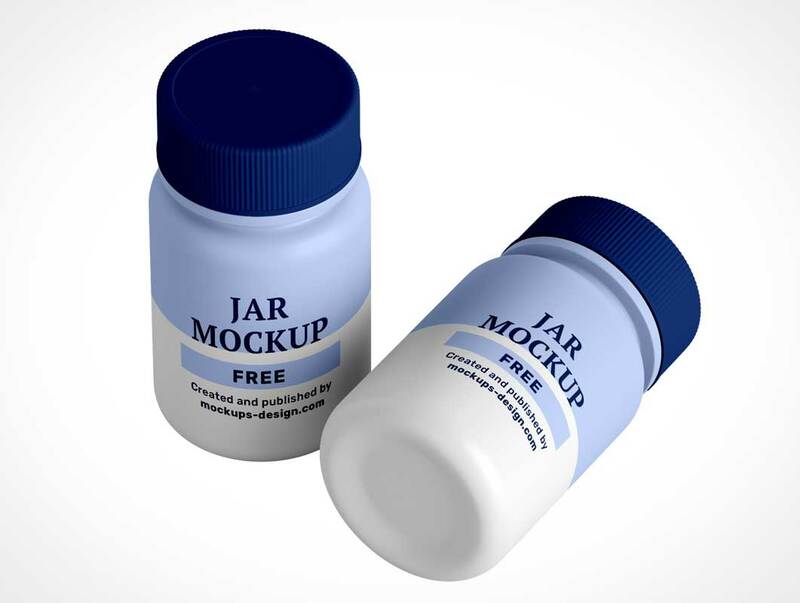 Plastic pharmaceutical jar mockup. It’s easy to use and modify. What’s most important it’s completely free to download and use. Smart Object layer with a project covers entire jar.